The natural beauty of San Alfonso, our retreat center in Long Branch, NJ is a little harder to enjoy after Super Storm Sandy. 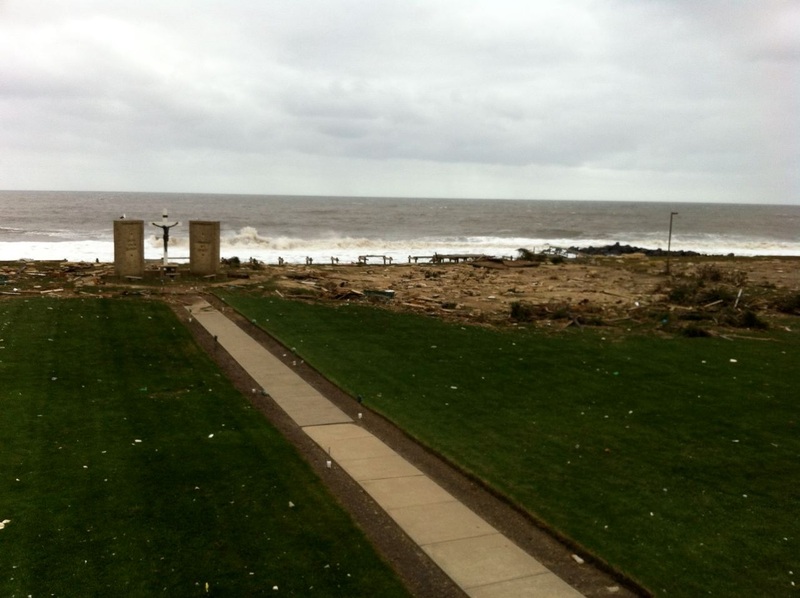 The storm in October 2012 tore away the boardwalk, benches, gazebo, and took away safe access to the beach. Thank God our outdoor altar and the retreat house itself escaped any major structural damage. 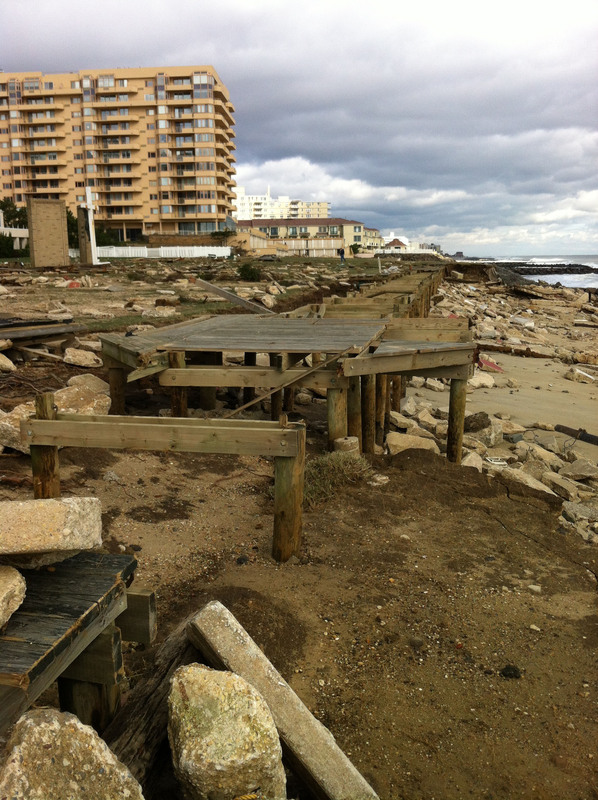 The cost to replace the boardwalk area and fortify the beach wall is $2.2 million. Your gift today can help us rebuild this space. To make a gift to help offset the cost, you can also donate safely and securely on line at redemptorists.net/sandy. You may also mail your donation. Please make the check out to ROMA, mark "Sandy" in the memo line, and send to: ROMA, PO Box 4997, Annapolis, MD 21403. Thank you for your prayers and your help in enhancing the experience of our retreatants. Please join us in praying for those who lost their homes and livelihoods because of the storm.